Gorsuch looks poised to rule that states must subsidize churches. On Wednesday, the Supreme Court heard oral arguments in Trinity Lutheran Church v. Comer, a tricky case about state funding of religion. 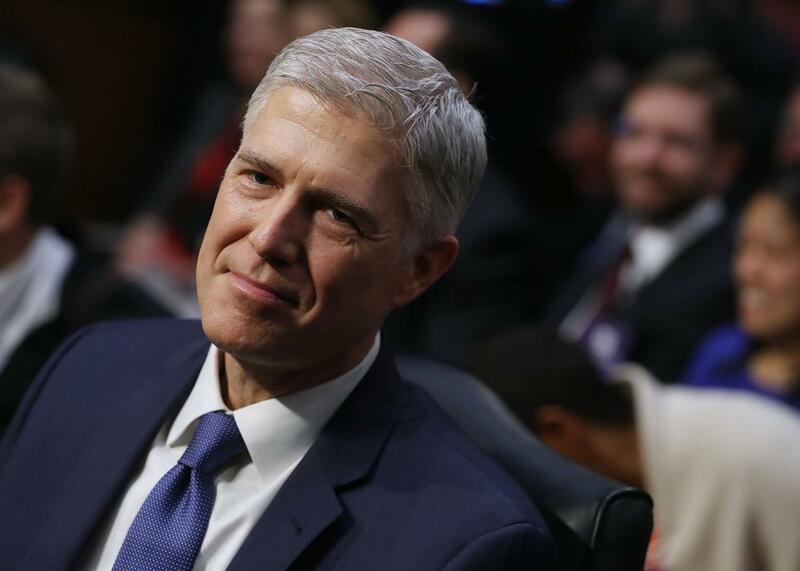 All eyes were on the newest justice, Neil Gorsuch, who was expected to cast a tie-breaking vote in favor of a church that insists it has a right to taxpayer-funded benefits. Gorsuch’s comments did indeed suggest that he’ll support the church—but so did the comments of two liberal justices, Elena Kagan and Stephen Breyer. It therefore seems that Trinity Lutheran might not be the divisive blockbuster many of us anticipated. Trinity Lutheran Church is a house of worship in Columbia, Missouri, with a “preschool-and-daycare ministry” called The Learning Center, which has a playground. The church applied for a grant offered through a state program that would offset the cost of resurfacing the playground with recycled scrap-tire material. Missouri rejected its application, citing a constitutional provision stating that “no money shall ever be taken from the public treasury, directly or indirectly, in aid of any church, sect or denomination of religion.” Trinity Lutheran sued, alleging a violation of its Free Exercise and Equal Protection rights under the First and 14th Amendments. If your heart goes out to religious groups denied state aid under this prohibition, take comfort in the fact that the governor of Missouri actually reversed it last Thursday. But the parties still want this case to produce a decision—and it became clear on Wednesday that the justices are eager to rule, as well. Specifically, a clear majority of the court seemed ready to rule in favor of the church. Chief Justice John Roberts and Justice Samuel Alito vigorously defended Trinity Lutheran’s right to the funds, and Justice Anthony Kennedy appeared very troubled by the Missouri rule. Breyer and Kagan, too, attacked Missouri’s policy as incoherent, asking why the state provides police officers and firefighters to aid a church school but not funds to resurface its playground. Missouri’s attorney responded by dividing government programs into two categories: “Selective programs,” which choose their beneficiaries, and “universal programs,” like fire protection, that are available to all. Well, discrimination on the basis of status of religion, there’s no line-drawing problem there. We know that’s happened in this case, right? But to Gorsuch, Missouri’s refusal to fund Trinity Lutheran’s new playground is religious discrimination. To his mind, the state is punishing a church solely because of its religious practice—which is forbidden by the Free Exercise Clause. Trinity Lutheran has always hinged on framing: If the justices saw the Missouri rule as a sensible safeguard against church-state entanglement, they’d probably uphold it; if they saw it as an attack on houses of worship, they’d likely strike it down. Gorsuch, along with six of his colleagues, obviously leans toward the latter view. That’s bad news for progressive civil libertarians, who see Trinity Lutheran as something of a Trojan horse. As Lambda Legal explained in its amicus brief, a ruling in favor of the church could limit the government’s ability to deny taxpayer money to discriminatory religious groups. Some states bar public funding for organizations that discriminate against women and LGBTQ people, for instance; a ruling in favor of Trinity Lutheran could curb this discretion. (In fact, as Lambda points out, Trinity Lutheran appears to allow anti-LGBTQ discrimination.) Gorsuch is on the record favoring religious employers’ right to discriminate against women. It will be no surprise if he also votes to force public money into discriminatory church coffers.